“This sort of channel discussions will have to be treated as interference in the process of administration of justice,” Justice Ubaid has said. The Kerala High Court on Tuesday observed that television channel discussions regarding the court’s oral observations have to be treated as interference in the process of administration of justice. 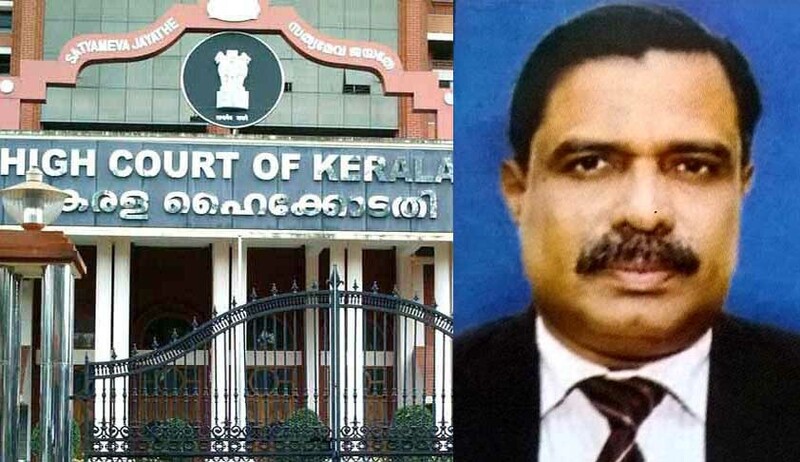 Justice P Ubaid was considering a petition seeking the removal of Kerala Vigilance and Anti-Corruption Bureau [VACB] Director Jacob Thomas. The court, by its order dated February 16, 2017, observed that the said matter is exclusively within the prerogative of the government, and that in normal circumstances, the court will not intervene in such matters. It also observed that "let the government think and decide wisely on the issue". But some of the media had reported that, during the hearing, the court wondered why the Vigilance Director was allowed to continue in the post despite 'anarchic action of excess on the part of the VACB’. Thereafter, the government asked the VACB Director to go on one-month leave. In today’s order, Justice Ubaid observed that the issue regarding the removal of the Director led to an unnecessary issue and channel discussions, to which the court was also dragged, along with another pending revision. “It is really inappropriate, deprecatory and contemptuous. One of the TV channels and also one of the advocates, who participated in the channel discussion, crossed all the limits of propriety, gentility and professional etiquettes, and even made an indirect "bargain" for the judgment to be pronounced by the court in the said pending revision. This sort of channel discussions will have to be treated as interference in the process of administration of justice”. Justice Ubaid also observed that it was really contemptuous to drag a pending matter also to the said discussion. “We, judges, cannot hold press meet or channel discussions. We can speak only through judicial orders, and I am doing so". “The different TV channels organised such a discussion without inquiring and understanding what really happened in the court. It was wrongly and irresponsibly telecast that this Court has directed the Government to change the VACB Director,” the bench said. The court also observed that there was an attempt on the part of the media, and also some journalists and advocates who participated in the discussion, to link a pending proceeding with the other matters now before the high court under the Prevention of Corruption Act. The court termed it ‘dishonest’ and ‘contemptuous’. "As regards the prayer for removal of the Director of the VACB, let the government take decision appropriately on a consideration of all the relevant aspects, including the earlier orders and observations made by the court. The government will also consider that the court has been thinking guidelines/directions of making some to the VACB for the discharge of functions within the limits prescribed under the Prevention of Corruption Act, the Code of Criminal Procedure, the Evidence Act, and the Police Act etc."